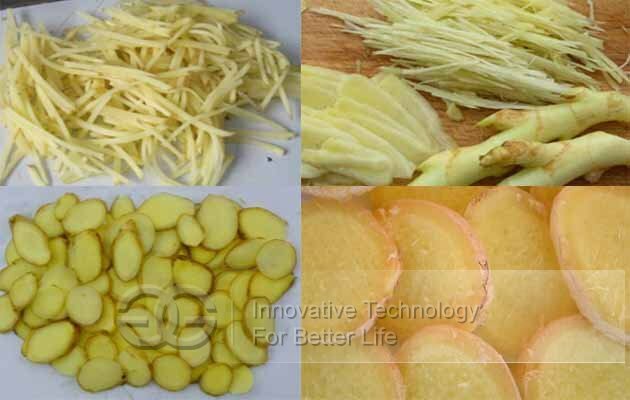 Ginger chips processing line is consisted of ginger washing machine and ginger slice cutting machine. 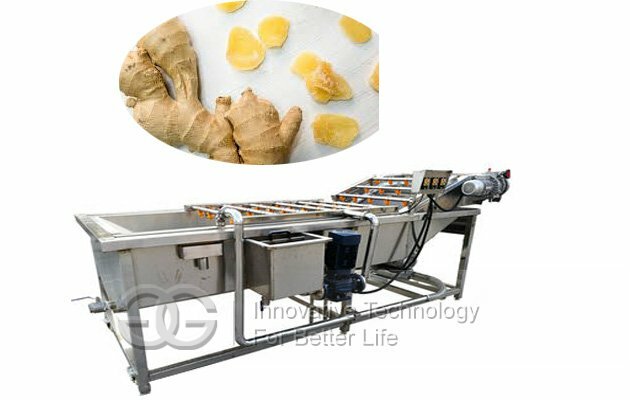 Ginger washing machine: This is multi-purpose washing cleaning machine for various fruit and vegetables, like jujube, carrots, apples, potatoes, potatoes, edible fungus, raisins, green leafy vegetables,etc. 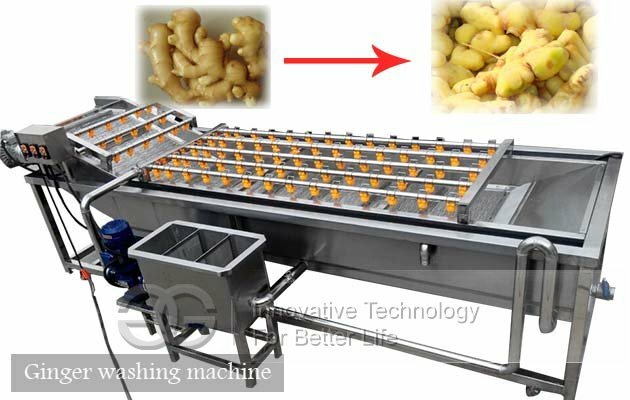 This machine using high-quality stainless steel, net chain conveyor, by the vortex inflatable aerator for gas, circulating stainless steel pump for secondary cleaning. Cleaning time can be adjusted according to the actual situation with manual stepless speed regulation motor control. After cleaning the material is transported to the air-dry area, blown out of the fan driven by clean wind, remove the moisture. 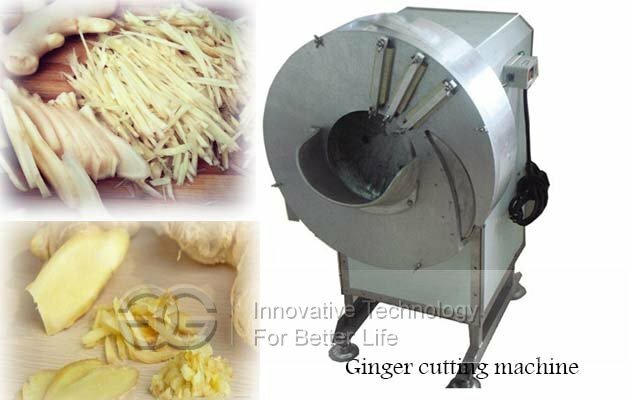 Ginger slice cutting machine: This machine can be used to cut ginger into slices and shreds, only need to change the blade, also suitable for processing potato, carrot, cassava, etc.The ginger chips making equipment is easy to operate, high output, good shape, can be used to cut into slices and shreds, the thickness can be adjusted freely, cut out the film, silk surface is smooth, which is currently the most advanced vegetable cutting equipment.